Do you have questions about the upcoming Spring Festival, then you can find the answers here. 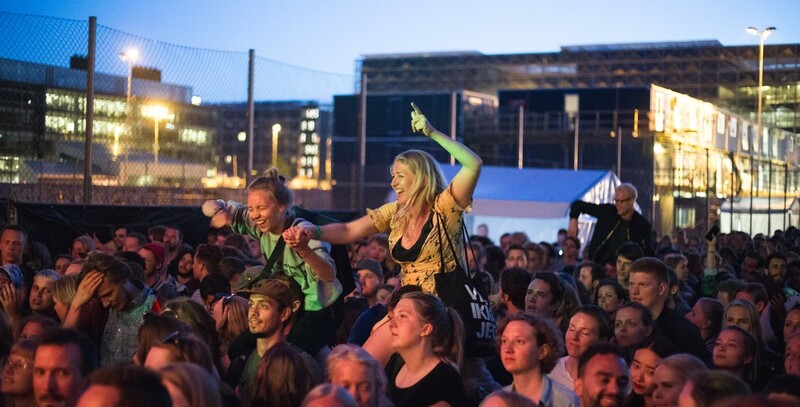 ... And if you have a question that you can't find the answer to here, then write an e-mail to info@kufestival.dk, and then we will get back to you. The next Spring Festival takes place on Friday the 10th of May 2019 from 14:00 to 02:00. The festival will take place on Nørre Campus, where you can enter from Universitetsparken, Nørre Allé and Tagensvej. The entire Universitetsparken will be closed off and turned into bike parking, so you are welcome to park your bike here while attending at the festival. The festival is for UCPH’s entire community: Academic staff (VIP), technical and administrative staff (TAP) and students. Remember your UCPH-ID - that’s your entrance pass. It is not allowed to bring along guests, family etc, who aren’t related to UCPH. But if your institute has visiting researchers, collaborators etc, who don’t have a UCPH-ID, then send an email to VIP@kufestival.dk as soon as possible by Sunday, May 5th. How is the accessibility of the festival site? There will be easy access for those with impaired mobility, wheelchair users etc. We will also make sure that there are appropriate restrooms and access to the audience areas of the stages. Feel free to contact us at VIP@kufestival.dk, if you have special needs. We will do our best to accommodate this. You’re welcome to bring your backpack, blankets, your (plastic) water bottle and other items that can make your festival experience the best as possible without being a nuisance to the other guests. We’re making sure that there’s plenty of seating available, but you are welcome to use the lawn areas too. You’re not allowed to bring in beverages, camping chairs, tents etc. Yes. The UCPH Spring Festival is an outdoor festival, so remember to bring warm clothes. We have a huge tent by the Totem stage, but the rest of the event is held outside without covering. If it looks like it might rain, we recommend bringing a waterproof jacket and sensible footwear. There will be food vendors at the festival, and we’re striving to have something for everyone. Whether you’re in the mood for a big juicy burger or a vegan dish, there’ll be something available for you - and the prices will be student-friendly. We will continually keep you updated with the planned vendors and food trucks, so keep an eye on the website. We’ll have 8 different bars at the festival site, where you can buy beer, sodas, ciders and much more. The bars are manned by volunteers, and the profit will go to the music bookings for the festival. There will be medics present at the festival site all afternoon, evening and night. Their specific location will be noted on the map of the festival site, and it will be clearly marked by signs on the day as well. The entire festival site will be surrounded by a fence, and there will be three entrances/exits. There will be access control at every entrance, so remember your UCPH ID-card. Remember that there will be a lot of people present at the festival, so take good care of your possessions. Leave your jewelry, computer and other valuables at home and take good care of yourself and your fellow students and colleagues during the festival. There will be plenty of opportunities to buy cheap beer, sodas and drinks during the festival, and therefore it’s not permitted to bring your own beverages apart from a water bottle. If you are in possession of or under the influence of drugs and illegal substances you will be asked to leave the event and festival site immediately. How can I join as a volunteer? Without volunteers - there is no UCPH Spring Festival. Normally there are 300-400 volunteers from all faculties and the university’s central administration. They take care of bartending, safety and access, stage setup and other exciting and important tasks during the festival. A volunteer shift is approx. 4 hours and you receive food and drink vouchers + a t-shirt on the day. 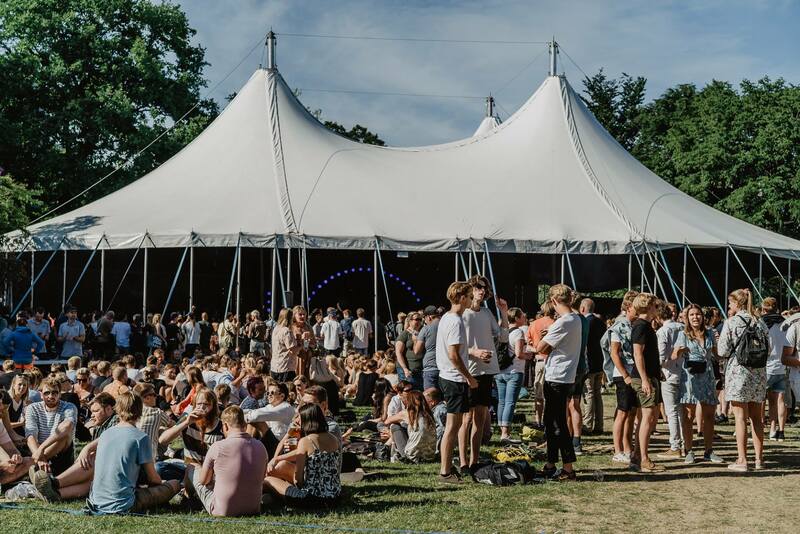 During April we host a big volunteer meeting at Nørre Campus, where we’ll go through the plan for the day, walk around the festival site, answer questions and make sure that everyone is ready for the big day. We gather all the found items and will bring them to Studenterhuset over the weekend of the festival. Fill out the form at www.studenterhuset.com/lost-found with a description of the lost items, then we will do our best to reunite everything with their owners on the Monday following the event. Unfortunately, it is not possible to “just drop by” to check whether we’ve found your lost things after the festival. In 2018 we found almost 100 lost items; for instance phones, wallets and keys. To ensure that everything is returned to the rightful owner, we are going to keep an organised registration system. That gives you the safety of knowing, that if we find your things, you will also be the one getting them back again.